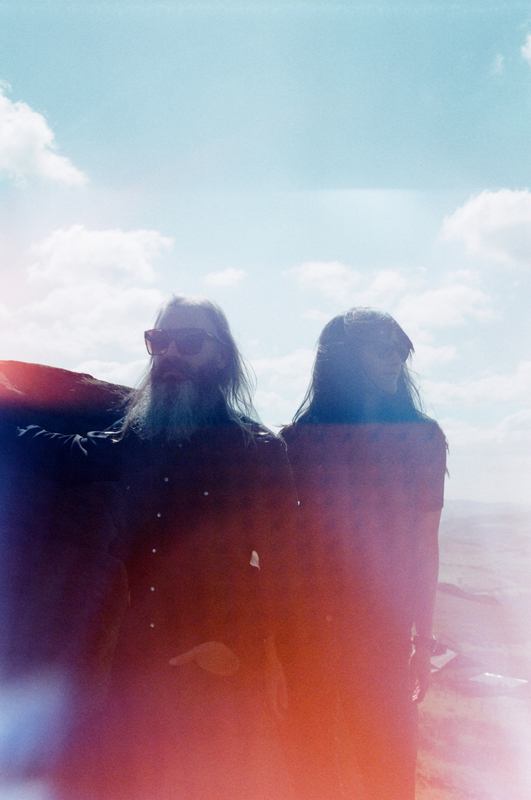 Moon Duo “Slow Down Low” (Official Music Video) from Sacred Bones Records on Vimeo. Our editorial office has spent the last few days freaking out over Sacred Bones’ forthcoming re-release of Funeral Parade’s anarcho-punk EP of the same name, which means that two of our current obsessions come from the Sacred Bones camp; the other is Moon Duo, one of the label’s psych-rock outfits. Last month they released Shadow of the Sun, their third full-length album for Sacred Bones. Guitarist Ripley Johnson and keyboard player Sanae Yamada composed the LP in a Portland basement during a period of unease, and the circumstances yielded a new suite of hypnotic, fuzzed-out psychedelia. The trio’s tour of Europe and the UK begins tonight, and they’ve unveiled the video for album cut “Slow Down Low” to kick it off. Shot in low-contrast black and white with digital cameras and then filtered through an analog VHS system, “Slow Down Low” was directed by (and features) Sacred Bones labelmate Domingo Garcia Huidobro of Chilean band Föllakzoid. His combination of up-close intimacy with psychotropic patterns of dark and light is a perfect accompaniment to Moon Duo’s droning, cyclical guitar riffs. The video can be streamed via the player above, and a complete listing of the group’s upcoming tour dates is on view below.